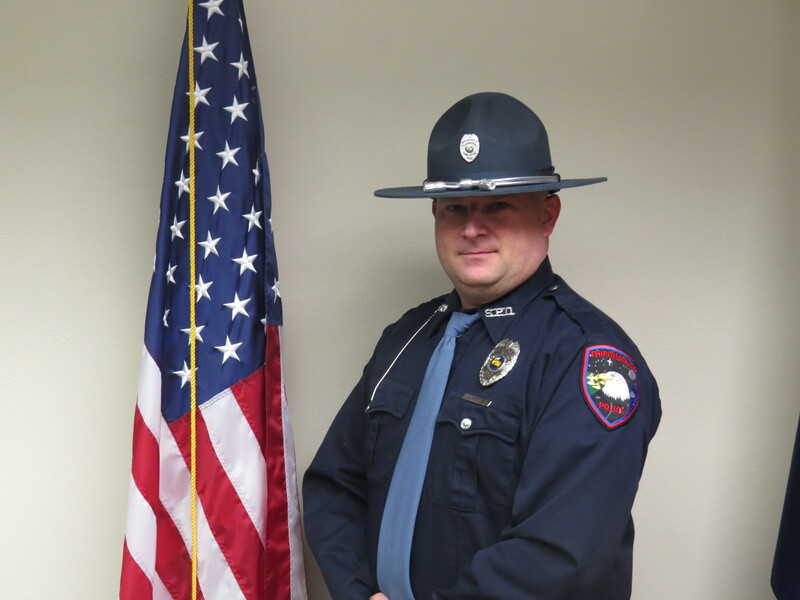 Tom M. Fitch II has been with the Shipshewana Police Department since his appointment as Chief Deputy in 1999. He has served as Town Marshal since his promotion in March 2002. 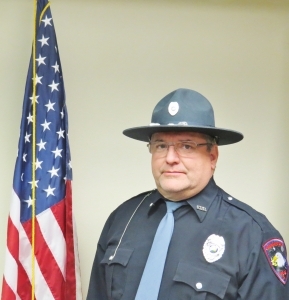 Marshal Fitch holds an Associates of Science in Law Enforcement, Bachelor of Science in Criminology and a Bachelor of Science in psychology from Indiana State University. 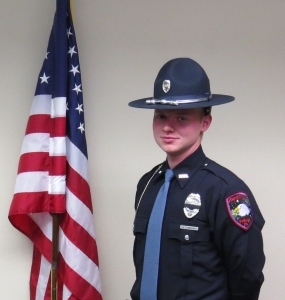 Marshal Fitch is an Indiana Law Enforcement Academy graduate of Basic Class 1996126. Tom is a General Instructor, Firearms Instructor, RADAR Instructor, O.C. Instructor and Taser instructor. In August 2007 Marshal Fitch received his Master Instructor Certificate from the Indiana Law Enforcement Academy. Marshal Fitch is also a Certified Accident Reconstructionist through Northwestern University. He is also a certified Breathalyzer operator through the Indiana University Department of Toxicology and a Certified Voice Stress Operator. Marshal Fitch is also a graduate of the Fort Wayne SWAT School, Indiana Law Enforcement Academy Observer Sniper Schools. 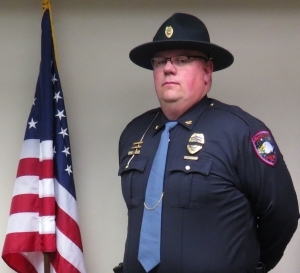 His law enforcement background includes working as Investigator for the LaGrange County Prosecutors Office, Jail officer with the LaGrange County Jail and as a Deputy Marshal with the LaGrange Police Department. J. Carlos Jasso started as a Reserve Deputy with the Shipshewana Police Department in June of 2002. In March of 2004 Deputy Jasso was hired as a Full-Time Deputy. 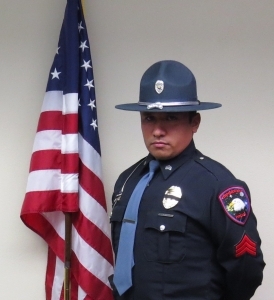 Currently Carlos Jasso serves as a Sergeant in the Shipshewana Police Department. 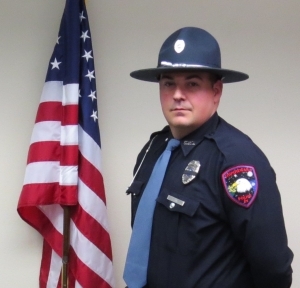 Jasso is a 2004 Graduate of the Indiana Law Enforcement Academy Class 2004281 , where he achieved Top Firearms Proficiency and Top Academic Status. Jasso is currently an Indiana Law Enforcement Academy General Instructor and Defensive Tactics Instructor. Jasso is also certified in Accident Investigation I, II, III, Krav Maga Instructor and is a Certified Voice Stress Operator. Jasso was previously a K-9 handler for the Shipshewana Police Department, where he was handler for K-9’s Alister and Zander. Nicholas M. Byroad was appointed as a Reserve Deputy Marshal in 2006 and was hired as a Full-Time Deputy in May of 2007. In 2007, Byroad graduated from the Indiana Law Enforcement Academy 2007324. Deputy Byroad served eight years in the United States Army ending his time as a Specialist. Byroad served one tour of duty in Iraq, where he worked as a Bradley Gunner. 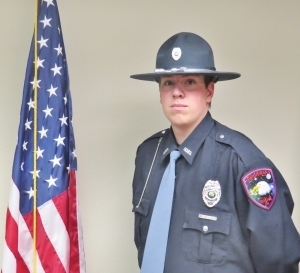 Prior to his employment with the Shipshewana Police Department, Byroad worked as a LaGrange County Jail Officer. Deputy Byroad is an Indiana Law Enforcement General Instructor, Emergency Vehicle Operations Instructor and a certified R.A.D. Kids Instructor. Byroad has been certified as a Taser Instructor in the past. Currently Deputy Byroad is in charge of the r.a.d. Kids Program for the Shipshewana Police Department. Deputy Miller has been with the Shipshewana Police Department since July of 2013. 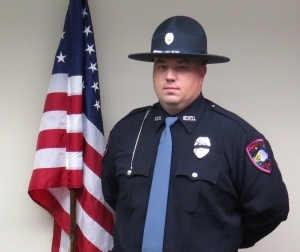 Deputy Miller has attended and been certified in the Indiana Law Enforcement Academy Pre-Basic Course, Basic Taser, Basic Oleoresin Capsicum (OC), Basic Firearms, Basic Defensive Tactics and Basic Emergency Vehicle Operations to mention just a few of his training accomplishments. 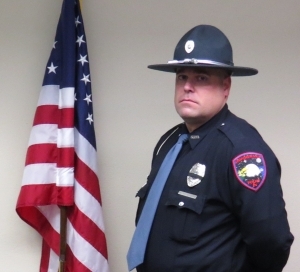 Andy M. Kniller started with the Shipshewana Police Department in 2006 as a Deputy Marshal. Deputy Kniller worked for the Elkhart Sheriff’s Department three years prior to coming to the Shipshewana Police Department in 2006. Deputy Kniller has worked as a Full-Time Deputy in the past and is considered to be a Class 1 Officer by department standards. Deputy Kniller has received his Bachelor of Science Degree from Indiana University South Bend in Criminology. Deputy Kniller has specialty training in several areas including K-9 Decoy School and has attended and been certified in the Indiana Law Enforcement Academy Pre-Basic Course, Basic Taser, Basic Oleoresin Capsicum (OC), Basic Firearms, Basic Defensive Tactics and Basic Emergency Vehicle Operations to mention just a few of his training. Deputy Miller has been with the Shipshewana Police Department since December of 2011. Deputy Miller is considered to be a Class 1 Officer by the department standards. Deputy Miller has been a resident of the Shipshewana area all of his life. Miller is also a member of the Shipshewana Volunteer Fire Department and has been so for many years. Deputy Miller has attended and been certified in the Indiana Law Enforcement Academy Pre-Basic Course, Basic Taser, Basic Oleoresin Capsicum (OC), Basic Firearms, Basic Defensive Tactics and Basic Emergency Vehicle Operations to mention just a few of his training accomplishments. 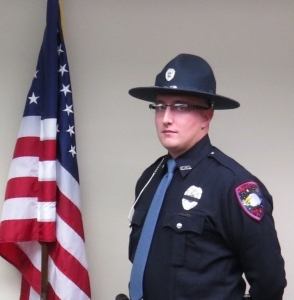 Deputy Chupp has been in with the Shipshewana Police Department since March of 2013. 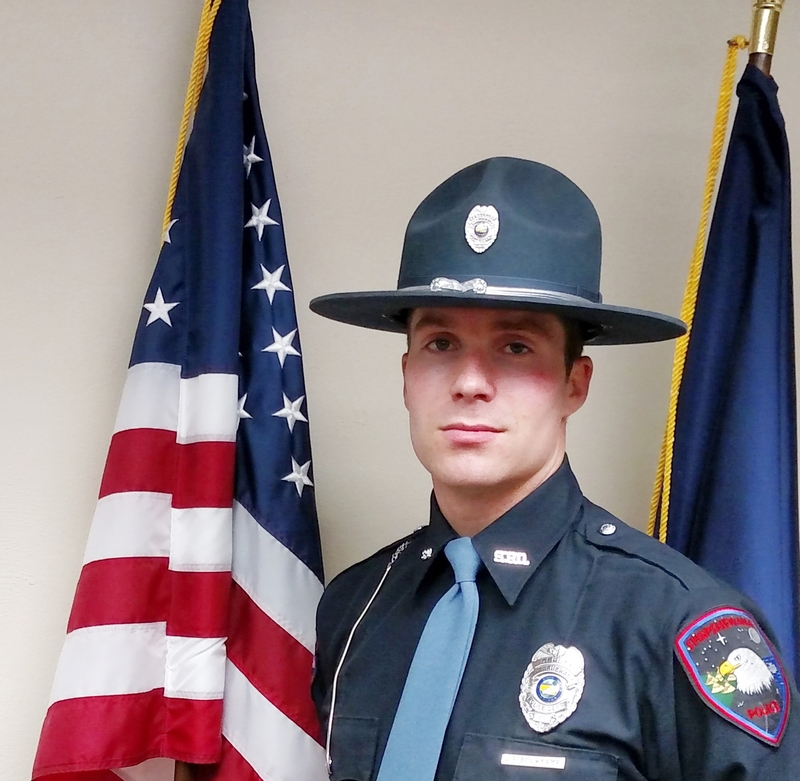 Deputy Chupp had previously worked for the LaGrange County Sheriff’s Department as a Reserve Officer for 10 years prior to working in Shipshewana. Currently Deputy Chupp is a Corporal with the LaGrange County Jail. Chupp is considered a Class 1 Officer according to department standards. Deputy Chupp has attended and been certified in the Indiana Law Enforcement Academy Pre-Basic Course, Basic Taser, Basic Oleoresin Capsicum (OC), Basic Firearms, Basic Defensive Tactics and Basic Emergency Vehicle Operations to mention just a few of his trainings. Deputy Peters has been with the Shipshewana Police Department since June of 2014. Deputy Peters is unique in that he had been with the department for 2 years in 2000. 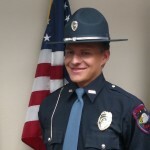 Deputy Peters is considered a Class 1 Officer by department standards. Deputy Peters has been trained and certified in the Indiana Law Enforcement Academy Pre-Basic Course, Basic Taser, Basic Oleoresin Capsicum (OC), Basic Firearms, Basic Defensive Tactics and Basic Emergency Vehicle Operations to mention just a few of his training. Deputy Clapp has worked with the Shipshewana Police Department since April of 2015. Deputy Clapp is currently attending Indiana Purdue Fort Wayne majoring in Criminal Justice. Deputy Clapp has attended and been certified in the Indiana Law Enforcement Academy Pre-Basic Course, Basic Taser, Basic Oleoresin Capsicum (OC), Basic Firearms, Basic Defensive Tactics and Basic Emergency Vehicle Operations to mention just a few of his training accomplishments. Deputy Clapp is a graduate of East Noble High School. 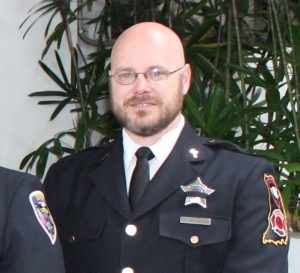 Matthew Gingerich started with the Shipshewana Police Department in 2010 as the Shipshewana Police and Fire Chaplain. Chaplain Gingerich is also certified through the Indiana Law Enforcement Academy with arrest powers. Gingerich also serves as the Shipshewana Fire Chaplain. Chaplain Gingerich is the Head Pastor at the Eden Worship Church in Honeyville, Indiana. Chaplain Gingerich has training through the International Association of Police Chaplains.